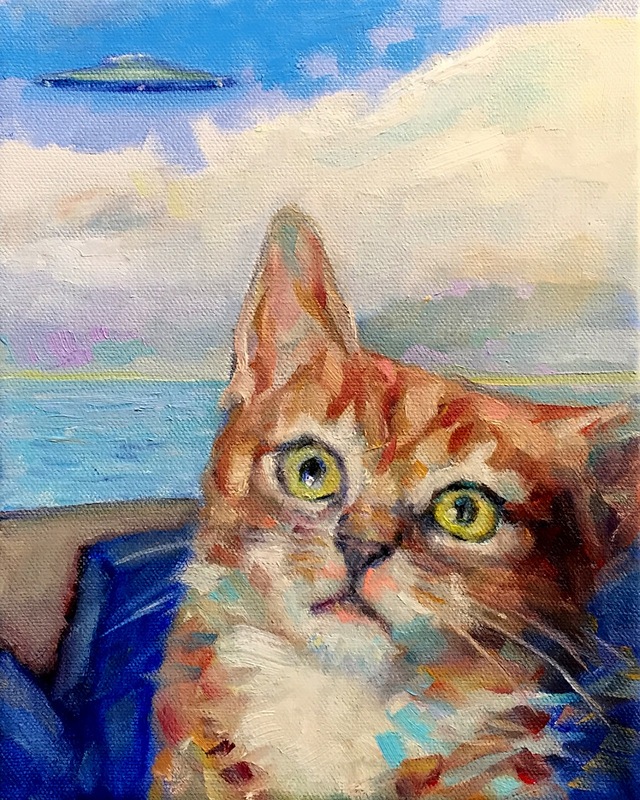 All I know is I like to paint cats and sometimes a UFO appears. When I paint on impulse ideas develop as I paint. Tomorrow I'm taking a workshop with Jim McVicker and that will change things up for awhile. Plein air painting is really challenging. And Jim is one of the best, How lucky am I?